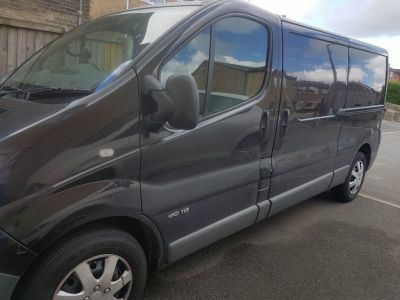 We can't give you a quote from Cosmic waves couriers ltd HIDDEN FROM FINANCE, but we have hundreds of drivers waiting to offer you a great price. Have a question for Cosmic waves couriers ltd HIDDEN FROM FINANCE? No problem, send them a message and they'll email you back as soon as possible. If you have a more general question you might find it answered in the FAQ, or you always contact one of our brilliant customer service team. * Cosmic waves couriers ltd HIDDEN FROM FINANCE won't be able to see your email address. blankets straps and trolley available. The driver was extremely helpful and did a great job. Very good service! Definitely worthwhile! Highly recommended! Polite, friendly and easy to talk too. Got the job done, good chap! Carl is just brilliant at his job ! Moving has never been so easy ! Greatly appreciate his help . He was very pleasant ! Definitely recommend, and I will use his services again in the future ! Great, speedy service and communication. Carl was friendly and considerate. Highly recommended! Very helpful and friendly service, made a massive chore a relaxed joy. Highly recommended. Very highly recommended! The driver arrived bang on time. He was efficient, hardworking, and friendly. The move went very smoothly and I would definitely use this service again. Thanks, Carl! Excellent service. Arrived early. Job took a lot shorter than expected due to his help. Very impressed. Will definitely recommend.